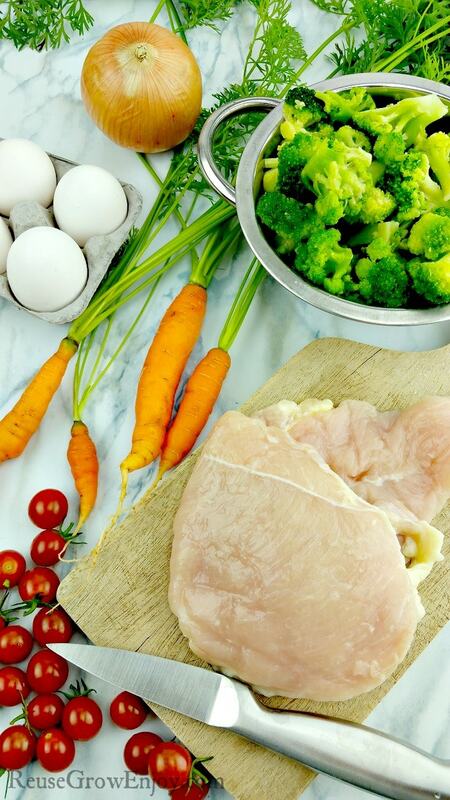 Are you thinking about starting the Keto diet? Maybe looking for a few tips, tricks and Keto hacks? I have put together seven for you! Keto is growing in popularity these days, and it is no wonder since many are finding the keto diet to be a great way to lose weight and eliminated numerous health issues. If you have been curious about the keto diet, you should know that getting started is quite simple. 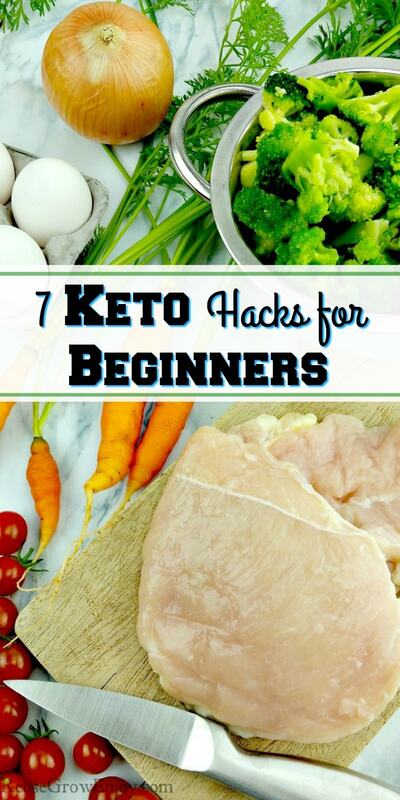 This high fat, low carb/sugar diet is waiting to be explored, so here are 7 keto hacks for beginners you should know! 1. Try various apps for support. The My Fitness Pal app is one that many are using to help get into the keto groove. It offers diet options, helps you track your diet, lets you record body stats, and can help you keep a better eye on your progress. Download the app so you have support available right at the touch of your fingers. Should you not care for this app, just do a search for Keto apps in the App Store. You will find dozens! One of the easiest ways to beat cravings and eat right is to prep food ahead of time. Hard-boiled eggs, shredded cheese, and bacon are all keto staples. Pre-boil eggs ahead of time and put them in the fridge along with pre-baked bacon and pre-shredded cheese. This way you can grab and go. A few other foods you want to keep on hand in bulk include avocados, celery, and olive oil. Now is the time to clean the pantry and eliminate foods high in carbs and sugar. Be sure to read those labels since these two factors sneak into foods you may not expect. During the early stage of the keto diet, you won’t want these items on hand to tempt you. Reading labels is important, as you would be surprised how many foods that aren’t sweet have sugar hidden in them. So be vigilant, read those labels and donate anything that doesn’t match your diet goals. 4. Use a water filter pitcher. Since many beverages are not keto friendly, you want to consume a lot of water. It is easiest if you keep a filtered pitcher in the fridge so you always have something cold to enjoy. Keep limes and lemons on hand as well so you can flavor water as you need to. In the meantime, be sure to toss those sugary sodas and check all fruit juice labels for sugar content. For Keto hack number five, fasting can help you achieve success with the keto diet. To make it easier, count the hours you sleep. Try to cut off all foods by 8 pm and don’t eat again until 8 am. This way you are fasting for 12 hours at a time which will help you achieve greater success. One of the easiest ways to eat fast food while staying on keto is to go bunless. Order a grilled chicken sandwich with extra mayo and hold the bun. Even a hamburger without the bun can still keep you on track. So if you want to eat out, go bunless. It will help keep those carbs away and make a huge difference. These sure sound fun, do they? Are you worried about sugar cravings hitting? NO worries. Head to Pinterest where you can find tons of recipes for fat bombs. These are fat rich sweet treats that can help with sugar cravings while giving your body the healthy fats it needs. Try making a batch and keep them in the fridge so when hunger strikes, you will be ready. Are you ready to give the keto lifestyle a try? Consider these 7 keto hacks for beginners and see how they can help you get on the right path to losing weight and feeling great. To get you started, here are some Keto recipes.